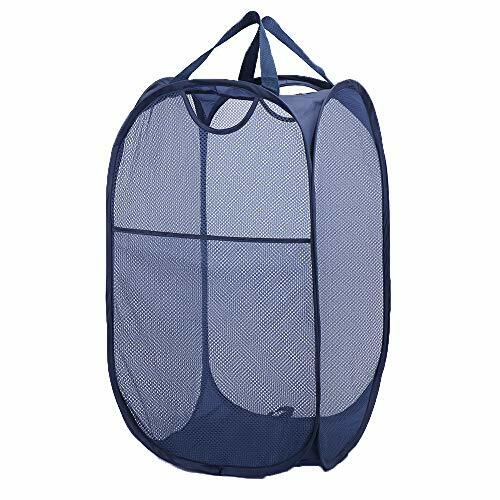 StorageManiac Foldable Pop-Up Mesh Hamper IB-1006000001: Make doing your laundry convenient with this mesh pop-up hamper. When not in use, you can pack this hamper down flat for easy storage. Easy carry handles let you transport this portable hamper anywhere. Side pocket gives ample storage space for laundry accessories, delicates, socks, or your personal items. When not in use, pop up hamper folds up small and flat for easy storage. StorageManiac is a professional provider of various high quality home storage products, such as shoe rack, laundry hamper, closet system, drying racks, storage bins and cabinets, wash bags, and so on. All the products can help you make best use of your space, keeping your home in tidy and in order! With innovative design and sophisticated styling, StorageManiac makes itself a welcome and useful addition to any home. StorageManiac will supply you with the means to a brighter and more efficient tomorrow. Your new favorite laundry basket - Ultra portable and easy to use. Collapsible design: Simply pop it open when using & collapse it flat for convenient space saving storage. A huge time and space saver for your home, apartment and living needs. DURABLE & STURDY - Solid construction and lightweight plastic improves carrying stability around the house and portability for on the go. BREATHABLE VENTILATION HOLES - Air out your laundry and basket goods to provide proper ventilation. Muti-functional- The durable construction and material make this a multi-use hamper, perfect for laundry or toys and sporting goods you wish to store away. Ideal to use for laundry room, bedroom ,bathroom ,camping, kids room and form, also fits all families,college students, athletes, etc.  Easily holds up to 50lbs and lasts longer! To avoid the quality issues often happened in similar products, we improved the components to make it sturdy and durable 1.5 stronger polyester mesh, high-carbon steel frame, solid polyester bottom and double stitching handles. A little larger than others (14.5'' 14.5'' 24.5''). It is large enough to contain a week's worth of dirty clothes, but still small enough to fit in any tiny apartment. Extra side pocket is designed for carrying laundry additives or a book to read while the clothes wash & dry.  100% MONEY BACK GUARANTEE Contact us if you are not satisfied with it for any reason. We'll process full refund or send you a replacement without returning or any additional conditions. All issues will be solved within 24 hours. 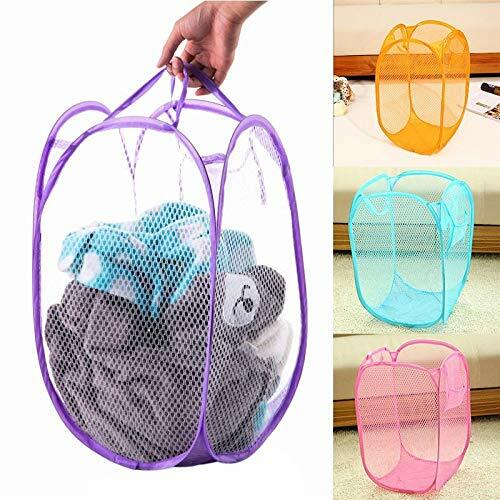 This lightweight hamper opens easily to hold a full load of laundry.It is constructed from mesh material; this permits air to circulate throughout the hamper eliminating moisture and typical laundry hamper odors. Two sturdy handles at the top of the hamper make it easy to carry in one hand,allowing you to carry along your detergent or other needed items as well. This foldable feature makes it particularly useful for college dorms,camping,traveling,small apartments or anywhere space is limited. 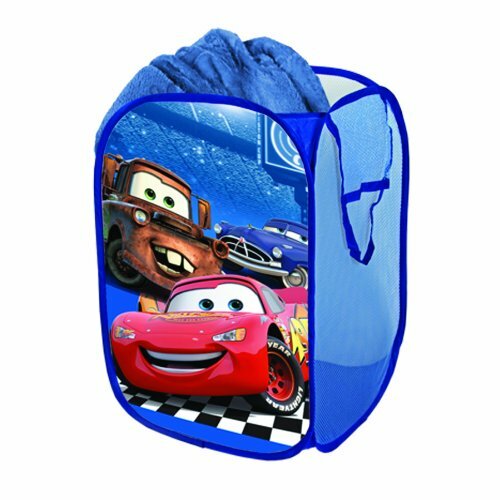 This mesh bag is also ideal to take along as a beach bag to hold your beach towels and toys.The sand will slip through the mesh,so you won't find yourself taking the sand home along with you. Use it within a limited storage weight. Use the side handles to carry heavier loads. Homeper are committed to provide our customers high-quality products with the best after-sale service.If you have any questions,please feel free to contact us,we will get back to you within 24 hours and to give you a solution. WIDE RANGE OF USES:For laundry basket,travel,indoor/outdoor carrying bag,grocery storage. LARGE CAPACITY:13.98''x13.98''x23.62'',It is big enough to hold seven days of dirty clothes. EASY TO CARRY:Only 7''after folding,Light weight,Simple folding,Convenient storage. STRONG MATERIAL:Made from lightweight mesh polyester,rerinforced handles,Easily holds up to 50lbs! HUMANIZED DESIGN:The opening design makes the clothes not easy to fall out.Side pockets for laundry detergent,socks,labels,etc. Folding design, convenience to carry. Dustproof, moisture proof, mildew proof, long service life. 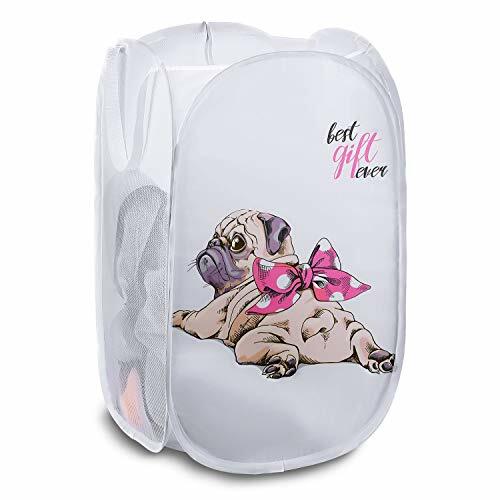 GREAT FOR HOME OR TRAVEL: Magicfly Laundry Hamper is made of nylon, which is durable and no fear for any tears will turns out when it keeps rubbing on uneven surface. 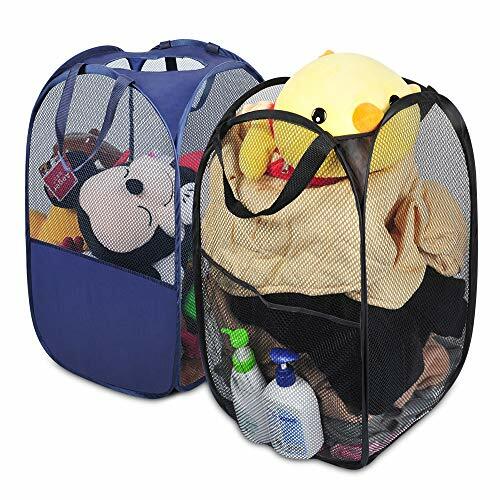 Use as a pop-up laundry hamper, toy basket or fold it flat for easy packing when on the go. STURDY MESH CONSTRUCTION: Polyester mesh is the main material of this Laundry Hamper that contributes to protect laundries from mildew and moth damages. Durable mesh material allows air to circulate in order to eliminate moisture and odors. STORES FLAT: This laundry hamper is able to be fold as a small round flat when not in use. It is easily stored, space-saving and light to be carried away. Twist the flexible lightweight frame on this pop up hamper to fold it flat for convenient storage. 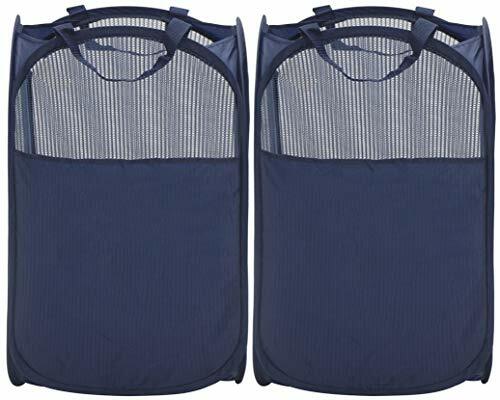 CARRY EASILY: Framed by premium stainless steel wires, this durable Mesh Clothing Bag is firm and high qualified to store your daily dirty laundries. 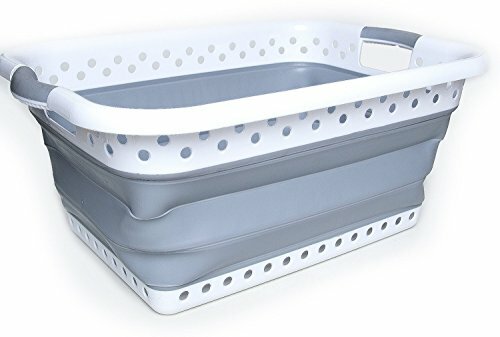 Two durable handles make it easy to carry this popup hamper to the laundry room.